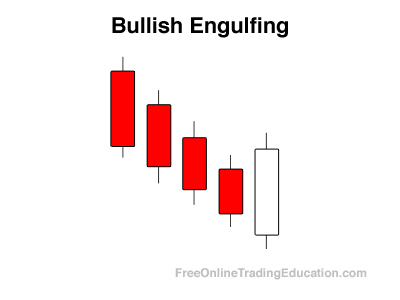 Bullish Engulfing is a two bar bullish reversal pattern and develops after a down leg. The first bar has a small real body and is followed by a second bullish bar with a white real body that completely engulfs the previous bar's range. 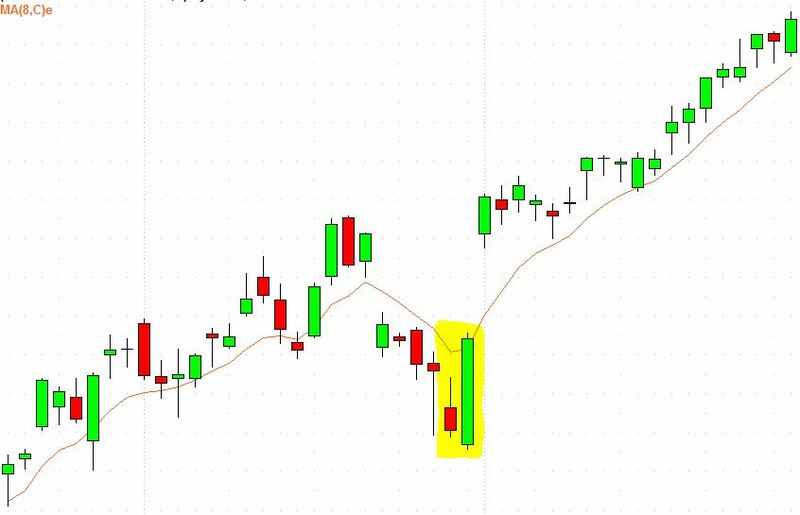 Technical analysts will often use the Bullish Engulfing candlestick pattern as a buying opportunity when in context of another bullish chart pattern.